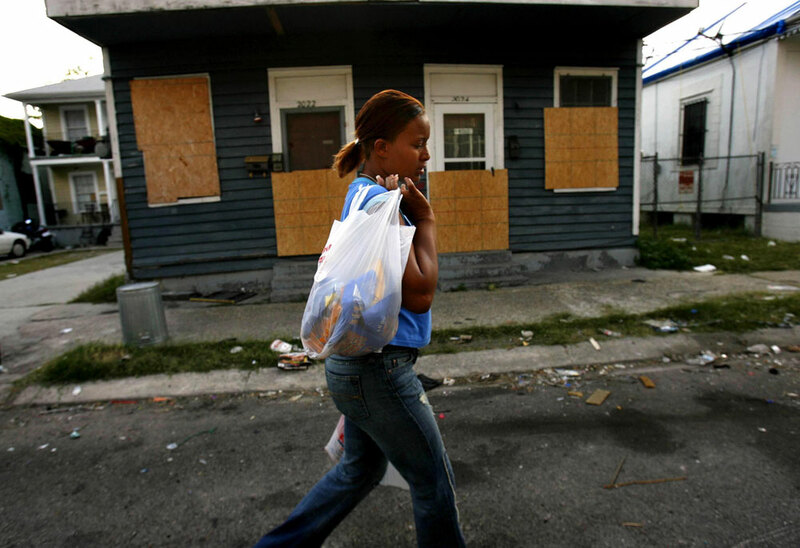 Shawn Powell carries groceries home in late April 2006 in the New Orleans seventh ward neighborhood she lived in for two months with her three daughters, two nieces and young nephew. The family, who was caught in the floodwaters of Hurricane Katrina in their 8th ward neighborhood in August 2005, found that the city was unlivable eight months later. Their duplex, which had been flooded, lacked a gas connection for hot water and debris and garbage littered the neighborhood.